Norwegian rocker, Jorn Lande, turned 50 this year and to celebrate that fact, Frontiers Records released a collection of 9 of his studio albums and three bonus discs. That is 12 disc in all for a very reasonable price of about $60 ($5 per CD). I will take that deal any day! 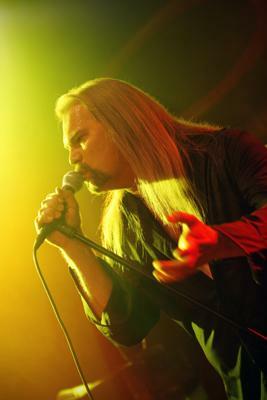 Jorn’s voice is so powerful and he could hold is own with some of the more well known vocalist out there. When he sings, he does sound almost exactly like David Coverdale of Whitesnake. And when he covers any Whitesnake song, the resemblance is uncanny. That is probably why I like him so much as I am huge Whitesnake fan. Frontiers does a great job with the set. The box is real sturdy and should hold up well for years. Each CD is packaged in a cardboard sleeve that looks like the original CD and includes the original CD booklet as well. Sometimes sets have left that piece out. The CD itself looks like a small vinyl replica which seems to be a trend for some box sets (The Kip Winger Set did that as well). It is a nicely packaged set. My artist profile this time is on Norwegian rock vocalists, Jorn Lande. He has a new album coming out on Friday and so I thought I would highlight his career. His popularity here in the states is pretty much non-existent as I have never heard his songs on the radio. I find this to be a travesty. Radio here in the states is so bad now and pollutes our ears with such garbage that we miss out on so many great bands and artists from around the world. Jorn’s voice is so powerful and he could hold is own with some of the more well known vocalist out there. When he sings, he does sound almost exactly like David Coverdale of Whitesnake. And when he covers any Whitesnake song, the resemblance is uncanny. My only negative on Jorn is his music videos. I swear he looks like he is so angry with the camera and he looks like he is just screaming at it. If you can get past that, the songs are awesome. Jorn has been in so many bands, he is sort of a vocal nomad. The bands he has been in are Vagabond, The Snakes, Ark, Millenium. Beyond Twilight, Masterplan and Allen/Lande. My familiarity with him comes from 2 of his bands and his solo work. So my focus will be strictly with those albums and songs.